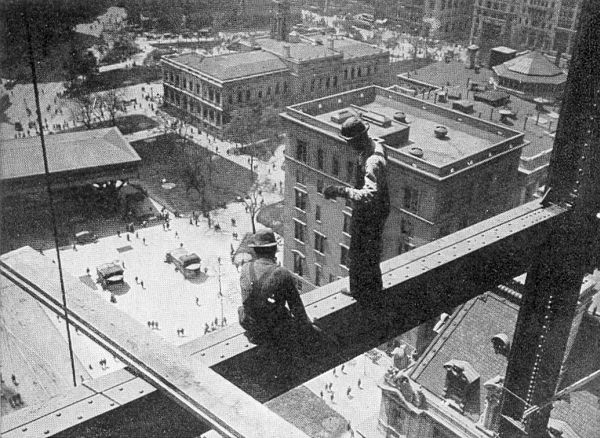 In this photograph contruction workers balance precariously on the exposed girder of a skyscraper under construction. Note the complete lack of safety equipment or harnesses. IllustratedPast.com is an archival project which collects and catalogs photographs and drawings showing what life was like from the 1800s to the early 1900s. These photographs and illustrations document a world very different than our own: the American Western Frontier was still untamed and Native Americans continued to live traditional lifestyles. In the great cities of the American East Coast, electric lights and trolleys were just beginning to replace gas lights and horse drawn carriages. Technology was advancing at a dizzying pace, compared to the previous centuries, but it was still steam based and very primitive by today’s standards. There were no airplanes or computers, and the telegraph was the main means of communication. The horseless carriage had been invented but it was still not clear if it would ever be practical enough to replace the horse or the steam locomotive. 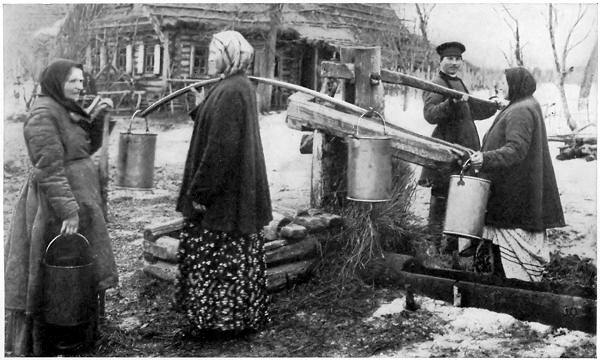 Russian peasants in pre-Revolution Russia draw water from a well. In Europe, the great capitals such as Paris and London were as now the centers of fashion and culture, but there was also great disparity in wealth and social status. Photographs of London and Paris show the contrast between the glittery world of the high society, and the squalor in which the poor and disenfranchised lived. In the East, many societies such as China and India had not yet broken with their feudal past. Photographs made by travelers reveal a world very different than the technologically advanced West. This website is still taking shape but when it is completed you will be able to take a photographic tour of the past.